ISLAMABAD, Oct 31 (APP): World Boxing Council (WBC) silver flyweight world champion Muhammad Waseem on Monday said he has got no financial support from Pakistan for his fight against Giemel Magramo of the Philippines on November 27 at Seoul. Talking to APP on phone from USA, the Quetta-born boxer said he is disappointed not to get any sponsorship from Pakistan for which he represented for more than a decade. It may be mentioned here that Waseem beat Philippines Jether Oliva on July 17 in Seoul to become the first Pakistani professional boxer to lift the flyweight world silver title. “I played for Pakistan for more then a decade but when I needed financial support from there than none has come forward to support me,” he said. He said he still hasn’t received the prize money that was announced for him after he became WBC silver flyweight world champion when he returned home in July. Speraking about his fight, Waseem said he had been training at the world’s top boxer Floyd Mayweather Junior’s gym in Las Vegas to prepare for his bout against Giemel Magramo of the Philippines on November 27 at Seoul. 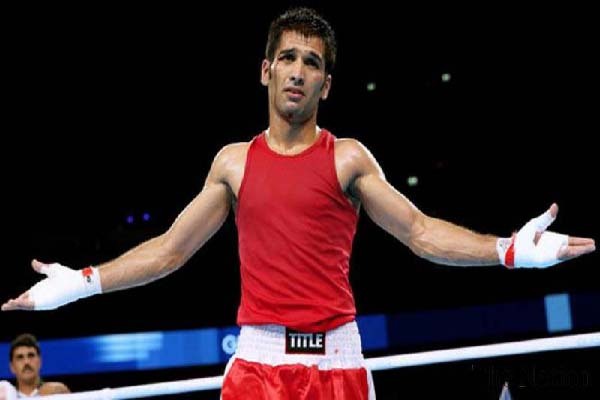 Waseem is the only boxer in the world who has clinched the coveted title in only four pro bouts and he has secured ninth spot in the WBC rankings while Magramo occupies 15th spot in the rankings. Waseem said he is in superb shape and is training hard for his fight under the supervision of Jeff Mayweather, the uncle of Floyd Mayweather.